I hope you remember to wear green so you won't get pinched! 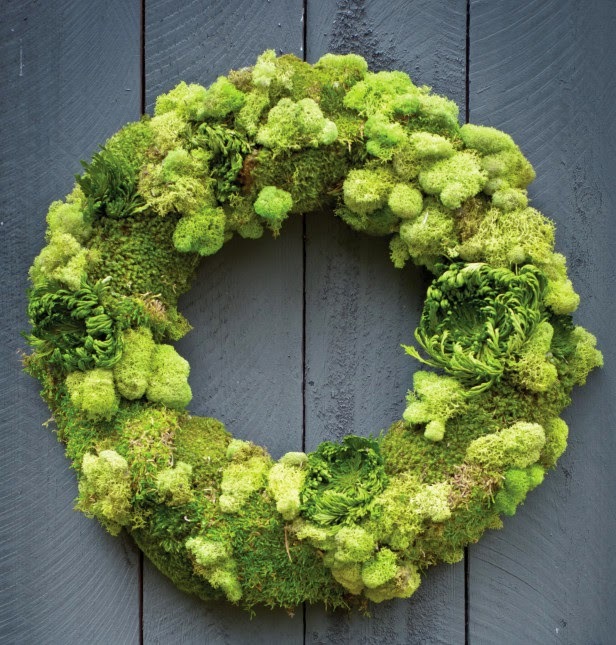 Welcome spring with this beautiful moss wreath. This is one of the prettiest floral arrangements I have ever seen! 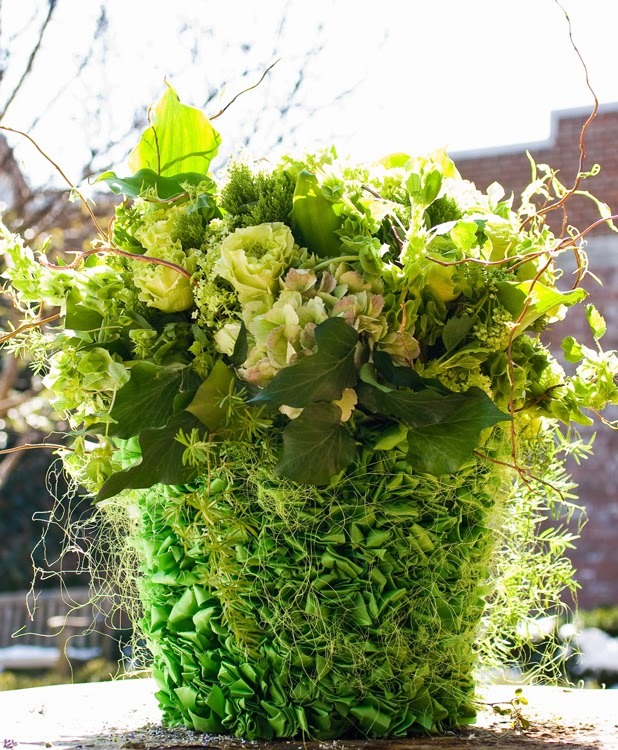 This bouquet of green flowers – roses, calla lilies, hydrangeas, bells of Ireland, and viburnum – is placed in a basic container that is covered entirely in Kelly green ribbon...stunning! I love the little cupcake picks on these! 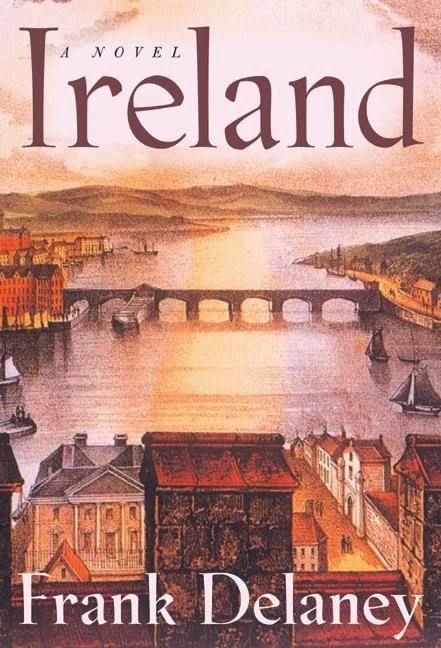 Read about Irish history through a storyteller's tales in this classic Irish novel. One of my favorite movies! In honor of St. Patrick's Day and Musical Monday, I wanted to share the world's favorite Irish band's latest song produced by Modest Mouse. I love this song, and the black and white video is very pretty! Join Miss Angie for Musical Monday!!! 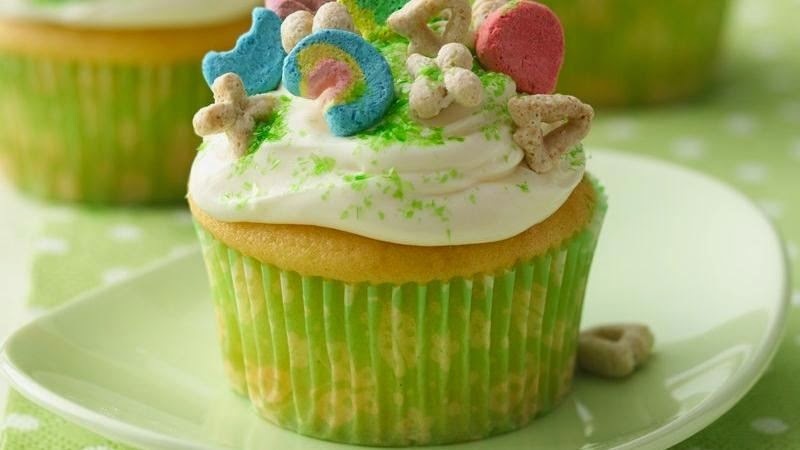 Happy St. Pat's to you, too! I knew I could count on you! Beyond my shamrock necklace and socks, green shirt and sweater from Ireland...I was a bit stumped! How have I not even seen that movie? I love Leap Year. We were just going over our favorite bands through the decades and hubby loves U2. I think he saw them about ten times live and traveled to other states too. I guess he loved them right? I love Leap Year and watch it over and over! Enjoy your day my friend! Best o' luck! Great ideas- thanks for the inspiration! 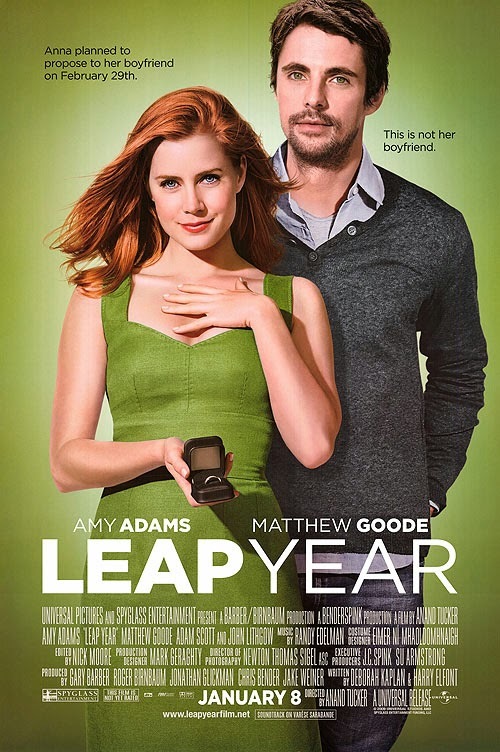 I Loved Leap Year! I need to watch it again! So much pretty green! I'll have to watch Leap Year now! Thanks for dropping by my blog from ModMix! Happy St. Patrick's Day to you. I liked that Amy Adams movie, romcom movies are always fun! I'll have to read the book. 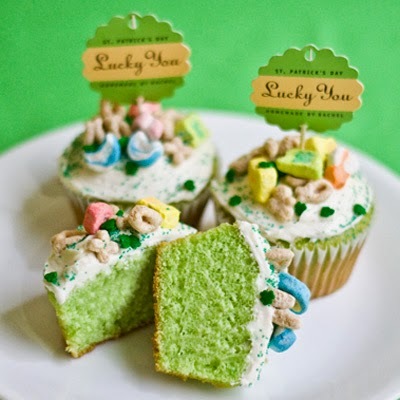 Love the lucky charms cupcakes, adorable. Oh dear, I'm glad I wasn't anywhere near you today. I didn't wear green and I don't want you to pinch me either. Heehee This was a really cute post, Ricki Jill. Happy St. Patrick's Day! Happy St Patrick's Day to you! I love all the green going on with your post. Great song! Happy St. Paddy's Day!! I love Frank Delaney...love, love!! Belated Happy Paddy's day! Hope you had a great one! My Happy List: Happy March! Literary Friday: It's 3.14. It's Pi Day!! !